Nature There are 30 products. 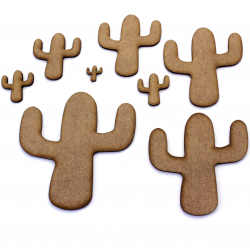 These 2mm thick MDF Cactus / Cacti shapes are available in the following sizes: 10mm, 20mm, 30mm, 40mm, 50mm, 60mm, 70mm, 80mm, 90mm, 100mm, 150mm, 200mmThey are laser cut from premium 2mm thick MDFThese embellishments can be used in craft projects, making decorations, gift tags, cards, decoupage etc. 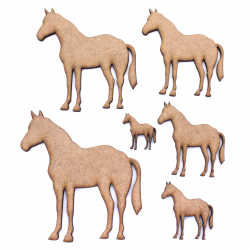 These 2mm thick MDF Standing Horse shapes are available in the following sizes: 20mm, 30mm, 40mm, 50mm, 60mm, 70mm, 80mm, 90mm, 100mm, 15mm, and 200mmThey are laser cut from premium 2mm thick MDFThese embellishments can be used in craft projects, making decorations, gift tags, cards, decoupage etc. 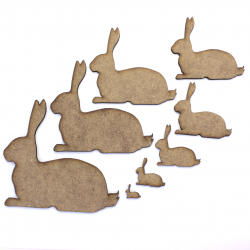 These 2mm thick MDF sitting rabbits / hares are available in the following sizes: 10mm, 20mm, 30mm, 40mm, 50mm, 60mm, 70mm, 80mm, 90mm, 100mmThey are laser cut from premium 2mm thick MDFThese embellishments can be used in craft projects, making decorations, gift tags, cards, decoupage etc. 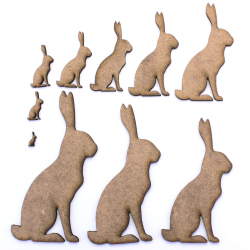 These 2mm thick MDF laying rabbits / hares are available in the following sizes: 10mm, 20mm, 30mm, 40mm, 50mm, 60mm, 70mm, 80mm, 90mm, 100mmThey are laser cut from premium 2mm thick MDFThese embellishments can be used in craft projects, making decorations, gift tags, cards, decoupage etc. 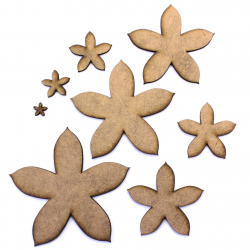 These 2mm thick MDF Flowers are available in the following sizes: 10mm, 20mm, 30mm, 40mm, 50mm, 60mm, 70mm, 80mm, 90mm, 100mm, 150mm, 200mmThey are laser cut from premium 2mm thick MDFThese embellishments can be used in craft projects, making decorations, gift tags, cards, decoupage etc. 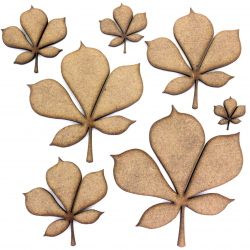 These 2mm thick MDF Sycamore leaves are available in the following sizes: 20mm, 30mm, 40mm, 50mm, 60mm, 70mm, 80mm, 90mm, 100mmThey are laser cut from premium 2mm thick MDFThese embellishments can be used in craft projects, making decorations, gift tags, cards, decoupage etc. 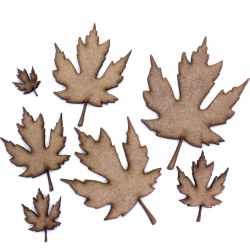 These 2mm thick MDF Beech leaves are available in the following sizes: 20mm, 30mm, 40mm, 50mm, 60mm, 70mm, 80mm, 90mm, 100mm, 150mm, 200mmThey are laser cut from premium 2mm thick MDFThese embellishments can be used in craft projects, making decorations, gift tags, cards, decoupage etc. 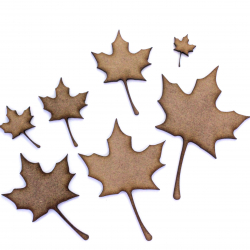 These 2mm thick MDF Maple leaves are available in the following sizes: 20mm, 30mm, 40mm, 50mm, 60mm, 70mm, 80mm, 90mm, 100mmThey are laser cut from premium 2mm thick MDFThese embellishments can be used in craft projects, making decorations, gift tags, cards, decoupage etc. 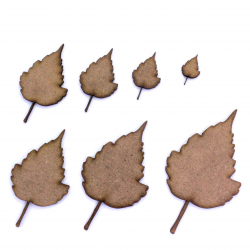 These 2mm thick MDF Birch leaves are available in the following sizes: 20mm, 30mm, 40mm, 50mm, 60mm, 70mm, 80mm, 90mm, 100mm, 150mm, 200mmThey are laser cut from premium 2mm thick MDFThese embellishments can be used in craft projects, making decorations, gift tags, cards, decoupage etc. 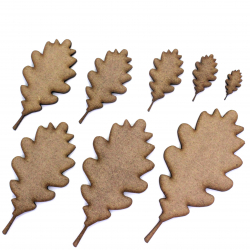 These 2mm thick MDF Oak leaves are available in the following sizes: 20mm, 30mm, 40mm, 50mm, 60mm, 70mm, 80mm, 90mm, 100mmThey are laser cut from premium 2mm thick MDFThese embellishments can be used in craft projects, making decorations, gift tags, cards, decoupage etc. 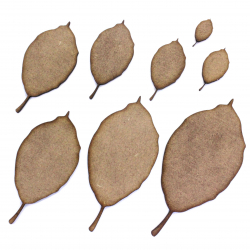 These 2mm thick MDF Horse Chestnut leaves are available in the following sizes: 20mm, 30mm, 40mm, 50mm, 60mm, 70mm, 80mm, 90mm, 100mmThey are laser cut from premium 2mm thick MDFThese embellishments can be used in craft projects, making decorations, gift tags, cards, decoupage etc. 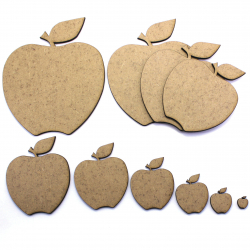 These 2mm thick MDF apples are available in the following sizes: 10mm, 20mm, 30mm, 40mm, 50mm, 60mm, 70mm, 80mm, 90mm, 100mmThey are laser cut from premium 2mm thick MDFThese embellishments can be used in craft projects, making decorations, gift tags, cards, decoupage etc.